After using it for a considerable amount of time I would like to point out the pros and cons of this product. A phone with great camera quality. Incredible battery life. A beautiful vibrant display. Also comes with fast charging. A lot of internal space. Oppo f1 plus provides a phone at a high range according to its brand name but with a good camera and a good battery backup also including fast charging. Oppo is now a days getting renowned in india because of its top of the line specs in a budget phone, so F1 plus is no different it has an amoled screen which can get super bright in sunlight plus a great 16MP selfie cam which always gives you a crisp picture. Oppo F1 is another smartphone by the brand which tried to give an overall decent performance. The smartphone has a great vibrant display with good sunlight legibility. When it comes to build quality, this device is killing it. It has a great battery life which can last you for a good number of hours. The fast charging support becomes icing on the cake. There are still some issues with the cameras under low light which is almost in every device. Oppo F1 Plus is a budget smartphone which was launched a couple of months ago. I liked this particular device. The smartphone has an amazing build quality and the display is vibrant, bright and vivid. Oppo is very well famous for their cameras and this one holds that title too. There is a fast charging for those who are always in hurry. 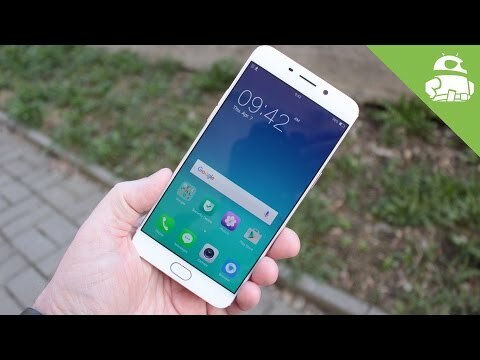 6 Pricebaba users have written their experience with Oppo R9. If you own Oppo R9, please do leave your feedback too. Lowest price of Oppo R9 price in India starts at Rs. 27,500 Oppo R9 is available on Flipkart at Rs. 27,500. Prices updated on 23rd April 2019. Oppo focusing on the new generation market and following the hype of selfies and selfie phones in the market, the Oppo F1 and the Oppo 1 Plus lauched the two devices to keep up to the hype. While the Oppo F1 is a smaller and a dumbed down variant, the Oppo F1 Plus is the elder sibling with quite decent specs to fair well at the job. The device sports a 5.5 inch AMOLED display with excellent screen resolution of 1920x1080 pixels (Full HD) giving it a pixel density of 401PPI. You also get Corning Gorilla Glass 4 to protect the display. Below the display lies a fingerprint sensor embedded in the Home Button for that additional security. In terms of performance the Oppo F1 Plus gets a MediaTek MT6755 Helio P10 Octa Core chipset that is clocked at 2GHz and combined with it is a 4GB RAM for butter smooth multitasking. The processor might not sound that great for pro users but it should easily handle all day-to-day tasks. Talking about the camera, the phone has a 13MP shooter on the back with an LED Flash. The rear camera can record videos up to 1080p which sounds like a slight disappointment as it lacks 4K recording support. On the front is a 16MP camera which Oppo boasts of taking excellent selfies. For low light selfies, the display lights up to maximum brightness with a White background making the display act as a Front Facing Flash, this works just exactly like Apple's Retina Flash for better selfies. The Oppo F1 Plus is a Dual Nano SIMs device with 4G enabled and also support VoLTE. However, the second SIM card slot is shared with a MicroSD card slot making you choose between Dual SIM usage or get an expandable storgae. Practically Dual SIM usage is probably possible for all as you get 64GB of internal storage which should be sufficient. Otherwise you have the Hybrid slot to expand the sotrage up to 128GB via a MicroSD card. To power all this Oppo F1 Plus has got a 2850mAh non-removable battery which supports Oppo VOOC Flash Charge that claims to give 2 hours of talktime in just 5 minutes of charging. The Oppo F1 Plus is based on Android 5.1 Lollipop out of the box with Oppo's Color OS 3.0 running on top of it. It is again a disappointment here as we expect the latest Android Marshmallow to ship with all the new devices. The device has an all Metal Unibody construction and is available in two colors viz. Gold and Rose Gold. 1. What is the internal storage size available to install apps on Oppo F1 Plus? Ans: Oppo F1 Plus has a 64GB internal storage out of which approximately 48.38GB is available for users. 2. Does Oppo F1 Plus support USB OTG? Ans: Yes, Oppo F1 Plus supports USB OTG (On-The-Go). 3. How is the camera performance on Oppo F1 Plus? Ans: Oppo F1 Plus is a selfie-centric phone which performs better than the rear one. Although the camera, focusing can be an issue at times. 4. Is Oppo F1 Plus compatible with Reliance Jio network? Ans: Yes, Oppo F1 Plus is compatible with Reliance Jio network. Hence, users can make use of Jio’s affordable 4G data and free voice calling plans. 5. Will Oppo F1 Plus get further software updates of Android? Ans: Although there is no concrete information available at this, Oppo had once mentioned that they are working on Android Marshmallow update for its devices. However, the company had not revealed the exact model numbers. 6. What type of charging connector do I need on Oppo F1 Plus? Ans: Oppo F1 Plus supports microUSB 2.0 connector. 7. Is Oppo F1 Plus good for selfies? Ans: Of course it is! Oppo F1 Plus has a 16-megapixel selfie camera which is meant for taking selfies. 8. How much time does Oppo F1 Plus take to charge? Ans: The Oppo F1 Plus takes around 1 hour 9 minutes to charge fully from 0 to 100%.